6 nutrition lessons you must teach kids! This week we will be re-introducing some lifestyle education sessions for the full-time junior athletes that APA work with at Gosling Tennis Academy. A big part of this is education on nutrition. I have written several blogs on nutrition over recent months. To be honest these are based on understanding more advanced concepts such as nutrient timing and periodisation of nutrition. With kids these numbers will just get lost and it’s a lot more effective to talk about foods rather than grams and calories! We can start by introducing them to the 6 Pillars of Nutrition, which I have taken from the work of Dr Mike Roussell. One of the key messages we want to get across is that processed foods with added sugar need to be replaced with protein, fruit and vegetables! Let’s pick a few of the Pillars and go through an example of the kind of things we might discuss with the kids. A lot of people panic at the thought of having to eat this many times. But actually all we are asking the child to do is add two healthy snacks to their diet. With adults the issue might be with coffee and tea, and with kids it is often fizzy drinks. Cutting these out or down might be as challenging as cutting down smoking so you have to wean them off them gradually. The 4 steps below work for people who are drinking several cups of tea/ cans of fizzy drink per day! Step 1: remove 1 fizzy drink / cup of tea from your day! When you talk about protein you have to talk about fats. It’s about getting the kids to recognise that we want them to eat MEAT and FISH. Now these animal proteins also contain fats so we need to teach them which ones are better. We can then talk about healthy fats and teach them which sources of fat are better. Now at some point we can start to talk about nutrient timing with the kids and explain about how they need to increase or decrease the amount of sugar they are eating depending on how active they are. However, at the beginning we first want them to understand the different types of carbohydrates. So there you have it 6 Nutrition lessons for kids and some examples of the way we might go about introducing these topics to kids! 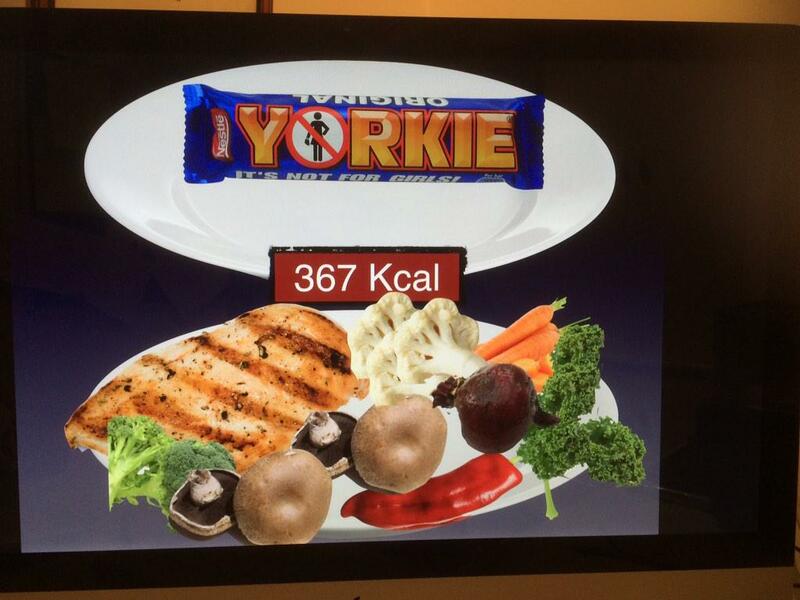 Keep it simple and talk to them about foods rather than numbers. Even better is to get them to work with the foods and taste them by doing cooking lessons. There are so many cool ways to get them interested in healthy eating! 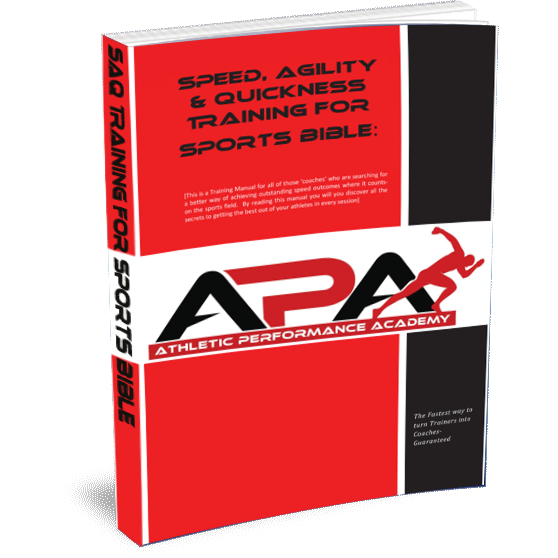 http://athleticperformanceacademy.co.uk/wp-content/uploads/2015/05/APA-Logo1-300x156.jpg 0 0 darren.drake http://athleticperformanceacademy.co.uk/wp-content/uploads/2015/05/APA-Logo1-300x156.jpg darren.drake2015-02-28 11:22:512018-05-27 20:12:556 nutrition lessons you must teach kids! Today’s post is about motivation, and what to do when you’re working with a particular breed of animal..the teenager, who doesn’t always have much of it!!! I occasionally like to post on aspects of psychology as it is a huge part of what makes a successful athlete and coach. In a previous blog I spoke about building confidence through results. Click HERE for the full article. In that post I made the point that the results the player/athlete gets (winning a match or beating a personal best) build confidence that what they are doing is working and therefore are seen as contributing to a sense of achievement and increasing competence (e.g. time splits in swimming or running that are better – that’s what PB’s are about). Achieving Personal bests though is not as easy as it sounds so as well as having confidence you need to be motivated! Most children that start playing sport when they are young do so because it is fun! Some children might have dreams about being a professional sportsman or woman, but many do not. For me, one of the greatest challenges is working with athletes who say they want one thing (e.g. be a Tennis Professional) and yet aren’t motivated to do the work. Alistair McCaw wrote a great article: ‘What happens when the parent wants ‘It’ more than the kid? – which you can read HERE. In the article Alistair talks about Intrinsic motivation, which he refers to as motivation that comes from inside an individual rather than from any external or outside reward. The motivation comes from the pleasure one gets from the task itself or from the sense of satisfaction in completing or even working on a task. Working with teenagers is particularly challenging as they are at a point in their young careers where the stakes become higher. They are often forfeiting full-time main stream education to afford them the opportunities to practice more in their main sport. It’s also a time when there are a lot of distractions socially that just seem way more fun. The reality is when you make the kind of commitment required to realise a goal of becoming a professional sportsman or woman you have to enjoy the GRIND! You need to enjoy the process of doing the work which coaches call GRIT! So how to do you build motivation then? Because to get the PB you have to put a lot of work in and some people just seem to be more willing than others to do it! I work with a group of athletes aged 11-16 years for 45-60 minute sessions up to 10 times a week. I write session plans that they can complete in the allotted time. But the problem was that (in the past) too often they got distracted and talked and then not complete all the exercises. I had thought about using the time management idea of High school football coach Shane Nelson, where he has in his weight room, a 3-foot by 4-foot digital timer that he uses to time his various stations. In his current mesocycle, he set the timer at fifteen minutes and it counts down to zero from there. There is a horn that sounds to begin and end the “quarter.” The football team uses that term to stay in a football mindset. See the full article HERE. Rather than using the timer I decided I was going to use another way of holding them accountable for getting the required work done. I was going to use a merit system (reward system), where I would sign their training diary if they completed the session and did it to a good level. I said I would award a prize after 6 weeks for the person who got the most merits. It had a good effect for the first week but once they realised that they would be out of contention (if they had a few days off ill, or were at a tournament) they said they no longer valued having a merit. They didn’t care if they got one or not as it wouldn’t make a difference to getting the prize. It didn’t work because I was tapping into Extrinsic Motivation. This is the problem with rewards (and punishments)- when players can’t win they give up! This sends an interesting message about the mentality of some of the athletes I am working with; they are only prepared to push themselves if there is a guarantee of a ‘prize’ at the end of their efforts – rather than the fitness training being an ‘end’ in its own right. This you need to be mindful of because YOU cannot change them, they have to change themselves! Is there a more successful extrinsic reward? Yes- the possibility of higher levels of sports performance. These kids need to feel that what they are doing ‘directly’ and ‘quickly’ translates to them achieving higher levels of performance (and that performance is meaningful to them). Therefore it is vital that both the S&C team and the Technical Coaching team make the link between being a better athlete and a better sportsman or woman. The bit in brackets here could be a problem, because although they might get better results from doing their fitness, if they do not feel as if they are going to achieve their ultimate aim (however high that might be) then they will easily opt out – because the effort required just doesn’t justify the gains they ‘could’ make! So, the fundamental problem might not even be the fitness training per say, but their lack of confidence in their ability to achieve their aspirations and therefore their tennis goals are not inspiring them. So it comes back to intrinsic motivation! 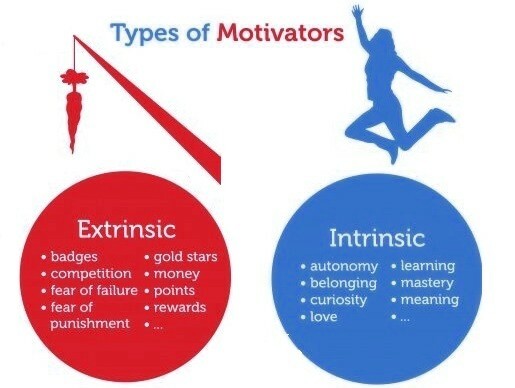 Intrinsic motivation will happen in a few of them and it can take time for it to develop (years – when it is already coming from the place of extrinsic reward and punishment based approaches). You are basically looking for the thing that will ‘trigger’ that intrinsic desire to work out (above and beyond what it will or could do for their sports performance). That will be different in each of them and for a good number of them they probably will never do anything intrinsically – they are too engrained in the rewards mentality – this is no criticism, it is where the world is at (as a result of the last 50 years of change). You need to deliver your passion and have those who are interested go along with you. Give your (most) attention to those who do go with you and stop worrying about those who don’t. Again, remember they are responsible for making their choices. You are responsible for leading by example. 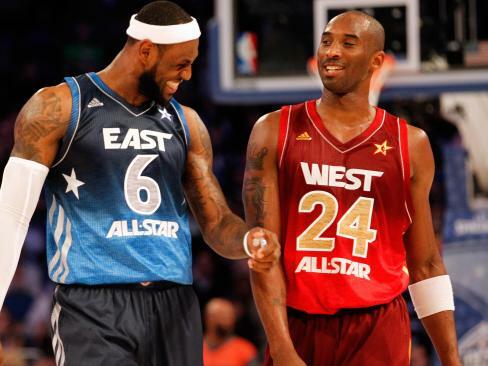 If you are not smiling and having fun in the gym – they won’t be either. It will all get too serious and if its not fun it will most often be too much like hard work – and not worth the effort, because their goals aren’t going to be massively affected by any improvements. http://athleticperformanceacademy.co.uk/wp-content/uploads/2015/05/APA-Logo1-300x156.jpg 0 0 darren.drake http://athleticperformanceacademy.co.uk/wp-content/uploads/2015/05/APA-Logo1-300x156.jpg darren.drake2015-02-17 13:11:522015-02-17 13:11:52Working with unmotivated teenagers! Are you a sports coach? As a Sport coach you spend hours with your athletes, so why not join forces with APA and learn how you can make your athletes faster yourself? Workshops are a way to bridge the gap between coaches and trainers. We need to work together for one common purpose: to give the most and the best for the athletes that walk into our programs. So come along and find out more about getting your athletes faster! What have we got planned for you? Discuss the importance of mobility, range of motion, etc. Break the mechanics of speed down in this section. We take you through drills, as if you are first teaching your athletes about the mechanics. Repeat this process for as many speed drills that we would like to cover. Places are limited so book HERE to reserve your place. When we examine the playing calendar of team sports such as soccer or rugby union, there is a relatively short preparation period compared to the long competitive period. Recall that the original periodisation models were all built around the reverse of this; i.e.. having a long preparation period before a competitive period. These models were conceived in the former Soviet and Eastern block countries for application in Olympic sports such as Track & Field, Weight lifting and even swimming. In the case of an extended playing season for the football, rugby or racket player the limited pre-season requires attention to several components and as such a mixed model approach tends to be used where several components are trained simultaneously. This blog looks at how APA use a hybrid model for team sports and racket sports that have short preparation phases and extended competitive seasons. 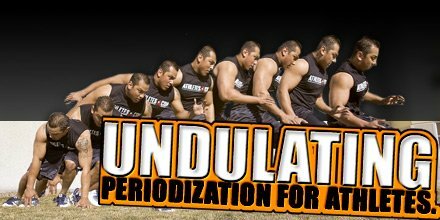 The model we propose is a hybrid of a linear and undulating periodisation model. For young or inexperienced athletes a linear periodisation approach to strength and stamina is used during preparation periods. 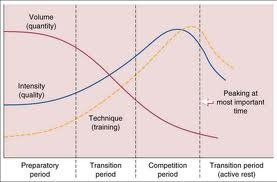 With our advanced athletes we don’t follow a Linear Periodisation model; it’s a concurrent training model. This is more commonly known as an undulating model. An undulating model as proposed by Charles Poliquin uses weekly variations in load. It is quite common as an in-season model which fluctuates between 1-2 weeks of hypertrophy and 1-2 weeks of maximal strength/power. It allows the CNS to recover during periods where there is already high neural stimulus from a busy competition schedule. I believe Dan Baker uses this form of week to week variation in strength sets and reps schemes to maintain strength and muscle mass using a form of weekly undulations in strength. (Undulating wave 12/8/10/6). In this example the weeks of 12 and 10 would represent hypertrophy weeks and the weeks of 8 and 6 would represent strength. A daily undulating model as proposed by Rhea et al (2002) is a variation of the undulating model. The key difference between these two is that alterations of training volume and intensity are made on a daily basis as opposed to a weekly basis. It is this daily undulating model that is more reflective of what we do at APA. But the key difference is rather than having a different regime for each day, we blend them in EVERY session. During the main preparation phase there is a gradual shift of emphasis towards a build up of intensity and reduction in volume in both strength and stamina. To do this we just increase the bias towards one of the higher intensity/lower volume strength or stamina prescriptions using simple strategies such as doing 2 exercises for maximal strength in a strength phase rather than 1 when we are in a anatomical phase. Or for stamina, substituting one of the high intensity aerobic interval sessions with a anaerobic repeated sprint protocol. Also just in simple terms, the overall density of a session will be less as we start to ramp up the intensity meaning we will do less volume of work per session. So I tend to reduce volume of strength and stamina work over the course of the preparation phase to allow me to build up the intensity towards the Anaerobic maximal strength and repeated sprints. Progression 1: High-Intensity Aerobic/Anaerobic session (120-140% MAS)- typically 5-12 x 6 x (15-40m run @ 80-90% effort: 15-20m jog recovery). This equates to 30-72 runs with a volume of 450m-2880m. Progression 2: High-Intensity Anaerobic session (200% MAS)- typically 3-5 x 4 x (5-25m run @ 100% effort: 5-25m walk). This equates to 12-20 runs with a volume of 60m to 500m. By the way, the workouts above are well suited to team sports players such as rugby and football players who cover distances anywhere from 3 to 10 km per game. In Tennis research reveals that, among the top men, David Ferrer, who is known for his speed and agility, covers the most distance. Through three rounds of the 2015 Australian Open, Ferrer had run approximately 10,000 meters (6.2 miles). On the other end of the spectrum, top-ranked Novak Djokovic had covered less than half that distance, somewhere between 4,000 and 5,000 meters through three rounds. I usually plan for tennis players to typically cover at least 700m per set of Tennis. Speed on the other hand will increase in volume while maintaining intensity at 100%, with the exception of the first few weeks where you might start at 80-90% tempo runs. This means that we will build from 10m sprints up to 40m sprints, and increase the total distance of the speed sessions. (reverse linear periodisation). This, of course, is a general guide. Look at it in terms of progressing in distance. As far as volume, these are estimates. Some athletes are workhorses; others are not. There is no magic formula for determining the perfect volume for a speed workout or workout period, and there are many other variables to consider in prescribing speed sessions. It should vary by athlete based on training age, experience, skill, etc. Choices from here vary by sport. 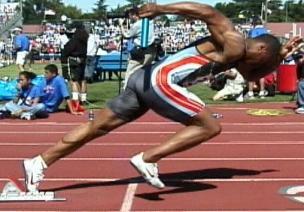 Non-track coaches will likely stick with a format along these lines. Remember, you don’t always have to move up in distance; you can do repeat 10′s, 20′s, etc. Make it specific to your sport. In fact, you should move around in volume, distance, and intensity so that athletes do not adapt and become stagnant in their training. During the pre-competition period, the strength and speed will be maintained (high intensity but low volume) but we will have increase in volume in stamina as we look to endure the anaerobic qualities of speed, strength and power. Of course this won’t be the first time that the athlete has been exposed to speed, strength or even power endurance, but until now it would not have been the focus. It would have perhaps been a maximum of one of the main conditioning workouts for stamina such as a speed endurance repeated sprint endurance session. Perhaps we would have some some strength and power endurance as part of a finisher in our strength workout. However, it would not have been the main focus. But come pre-competition, I like to make power endurance the main focus and usually assign up to 3 workouts a week to this form of conditioning. Below is an example using barbell resistance training. 1. A weekly undulating model– as proposed by Charles Poliquin which uses weekly variations in load. It is quite common as an in-season model which fluctuates between 1-2 weeks of hypertrophy and 1-2 weeks of maximal strength/power. It allows the CNS to recover during periods where there is already high neural stimulus from a busy competition schedule. 2. A daily undulating model– which uses variations in the same week. This is something we use quite a lot with Tennis players where we will plug in a session which combines Strength and Power a couple of times a week. Or you can have one session which focuses on a strength and one which focuses on power. The key with in-season programming is to have your ‘benchmark’ levels of performance that you can hold your athlete or team accountable to. As long as they stay within an agreed percentage of peak performance you can be satisfied the in-season programme is working. Depending on what the athlete needs you can assign a certain number of workouts per month that need to be completed in a given component of fitness and leave it to the athlete to manage when they get them done.